Artist Hamida Madhani, AKF silent auction. Hamida Madhani is a German raised US based contemporary artist, independent creative director and a designer. Driven by the search to experientially understand our subjective experience of beauty and its relationship to forms and objects, Hamida’s art explores the glorious rays of our being by creating art as a pathway to inner realities and spiritual dimensions of our existence. Utilizing her multicultural heritage and educational background in Computer Science, Design and Industrial Management, her artistic creations are a beautiful synthesis between digital and traditional art forms as well as eastern and western forms. 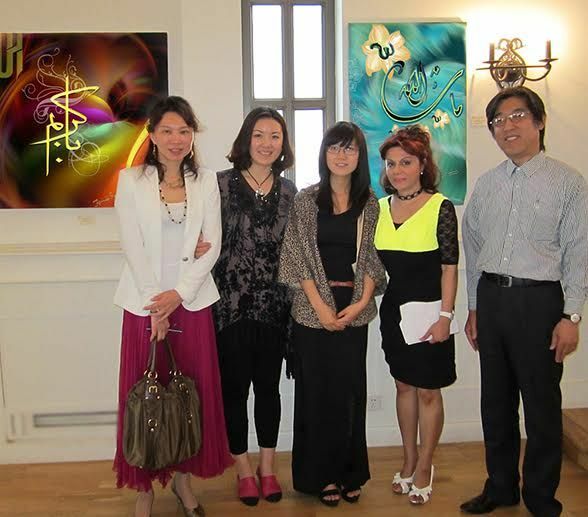 Artist Hamida Madhani, Chinese Exhibition. She works in a variety of styles and themes but her focus has been in lyrical abstract and modern Arabic calligraphy art. Numerous works of her art has been commissioned by collectors internationally and has been exhibited across the US, Canada, London, Germany, Abu Dhabi and China. Her curated exhibition “Synthesis” in China was an invitation from the Cultural Department of the City Government of Tianjin for a 3 week solo exhibition at the Western Art Shore Art Gallery Museum. She was also invited in Germany by the Governor of the city of Paderborn for her “Symbiosis of Art and Cultures” solo exhibition. The focus of both of the exhibitions was to encourage and stimulate the intercultural dialogue at different levels and celebrate the message of Islam through the medium of Art. In both Germany and China, she gave a special speech emphasizing this message. Hamida has also been quite active in community service. 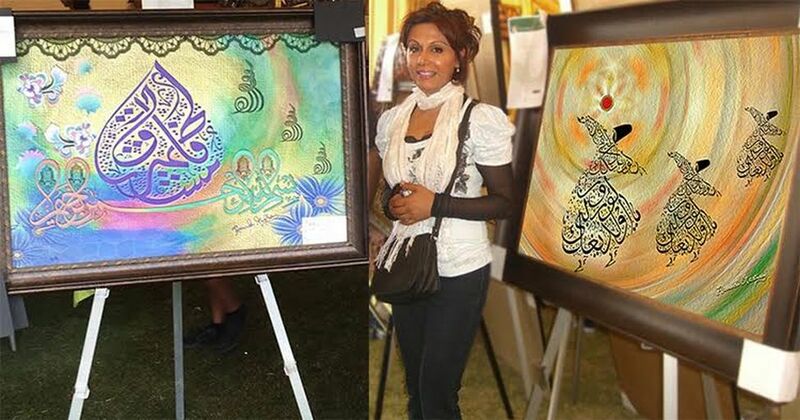 For the past several years she has been donating her art pieces to the Aga Khan Foundation to help raise funds for global development programs in health, education and rural development. Video: Hamida Madhani, solo art exhibition “Symbiosis of Art and Cultures”, in Germany, invited by the Governor Müller. Very inspirational and I absolutely love your unique style. Keep up the wonderful work. Thanks for sharing your cultural diversity and your beautiful artistic expression as a mean for promoting intercultural dialogue. It was indeed a pleasure attending your exhibition in Germany. Thanks for sharing your beautiful work with the world. The exhibition in Germany was ever so rewarding.